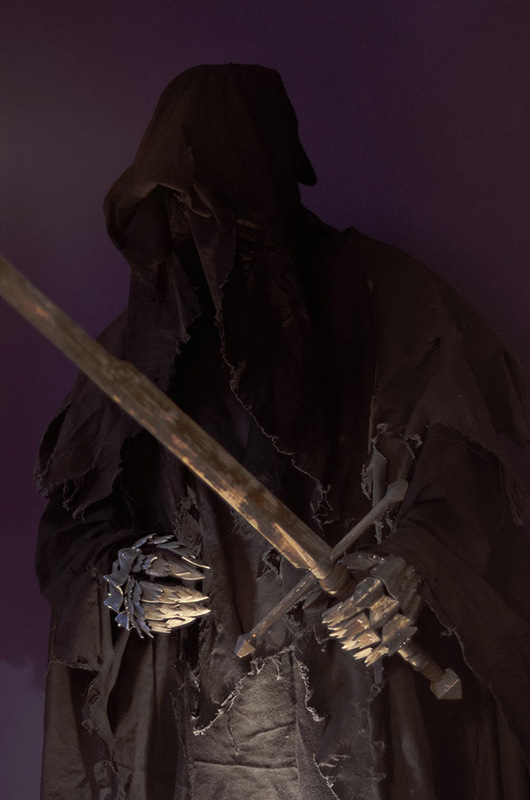 Homemade Ringwraith Costume Would Fit Right Into Middle-earth « Adafruit Industries – Makers, hackers, artists, designers and engineers! Since I have no anvil and steel available, I looked for some other mats to work with. I ended up with black plastic sheet 0.5mm which is just awesome to build organic forms. You can form it with the heat fan, drill, sand and paint it. And it is quite sturdy. Once you have created all parts, I have stitched them to a black glove with a strong thread. The gloves/greaves/gauntlets still could use some work but I had to finish it since the event where I wore them was just about to begin. I really liked the aging. It really brings the material to life if you are patient.